Absolutely the finest polishing crème ever developed for the natural stone industry. The crème vanquishes all small scratches, eliminates deep etch marks and hardens the surface of the stone to shield against future scratching and etching. Those annoying residue rings left from wine glasses and coffee mugs will also easily disappear. 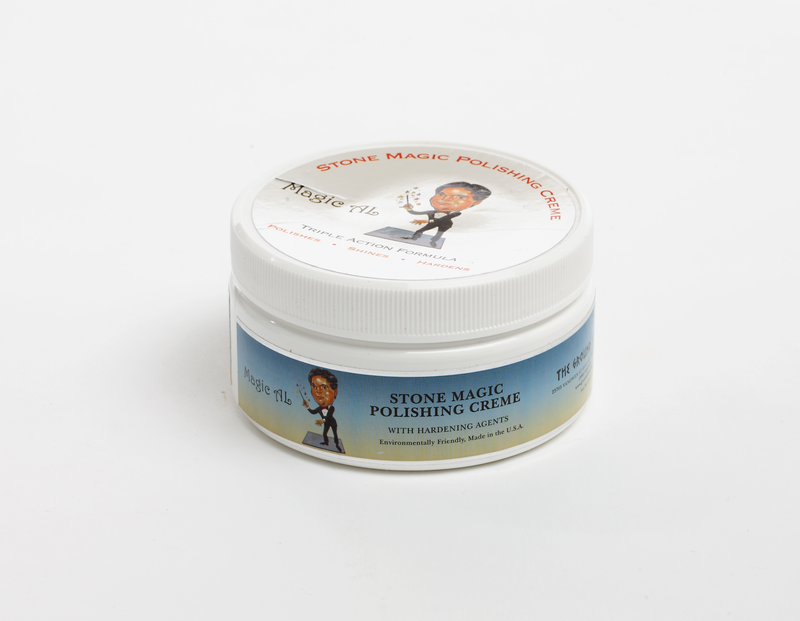 The magic crème releases a light and pleasurable fresh scent. Only a small application is needed to clean and protect the entire surface. Making cleaning very easy! 6 oz. container has applicator inside for ease of use.